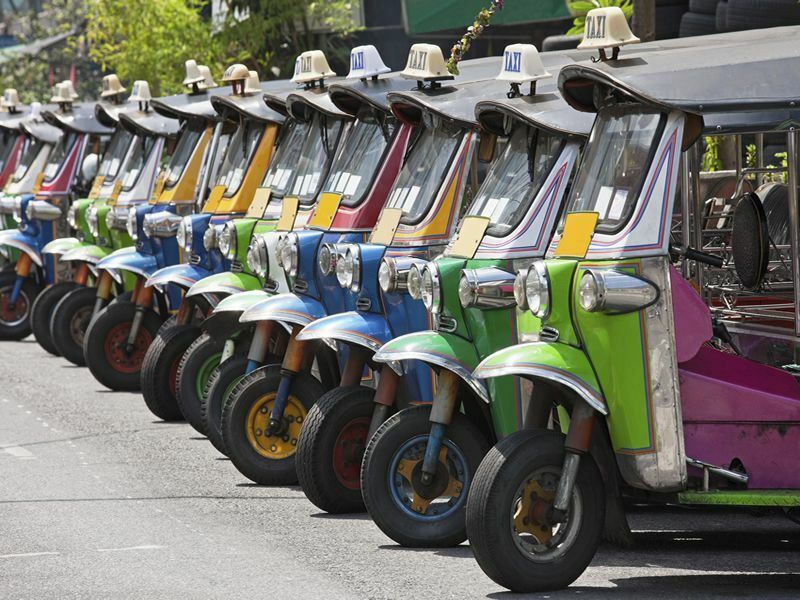 There is nothing more exhilarating then zooming around Bangkok in a Tuk Tuk. Recognised by their three wheels and open sides, I think this has got to be the best way to see this buzzing city! The temples here house the largest reclining Buddha in Thailand. At 46m long and 15m high this golden beauty with all its intricate detail will take your breath away. 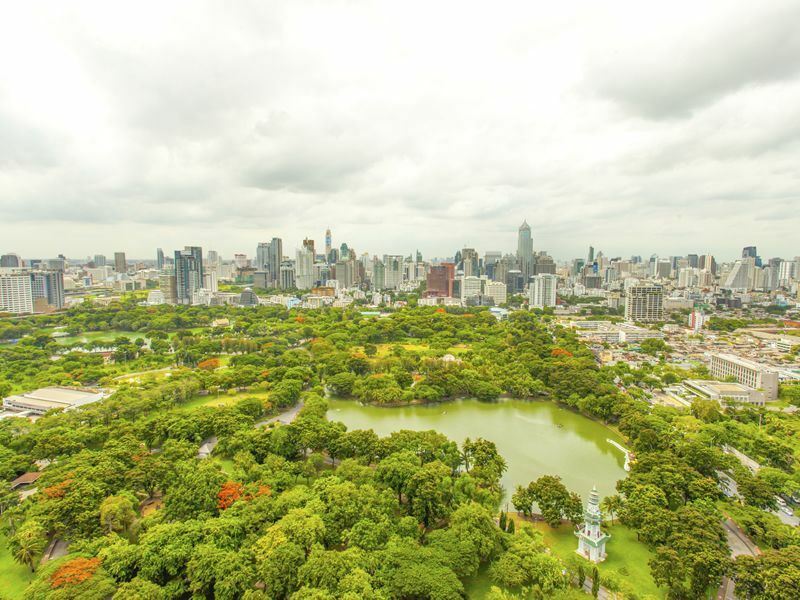 The Grand Palace is not to be missed on your tour of Bangkok, within it’s walls you will find Wat Phra Kaew, which contains the Emerald Buddha. Don’t be fooled by the men that will stop you outside the Palace, one told us it was only open to locals in the morning and tourists in the afternoon. He explained that he could take us else where first and then bring us back in the afternoon. This is a scam so beware, and the Palace is open all day to tourists! 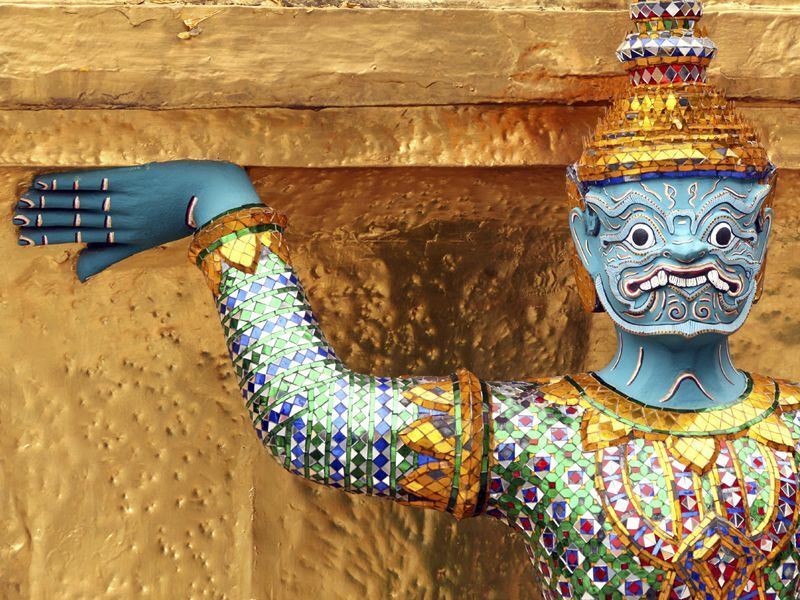 The dress code for temples is quite strict, shoulders should be covered and skimpy clothes are not advised! It’s not a problem though as you will get given a sarong to cover up with if you are not dressed appropriately. A must visit; this backpacker haven is a small street, lined with stalls and markets. Great for bartering for souvenirs! There are also lots of bars, restaurant and hotels here too and it’s a good place to book day trips from. It is great for people watching, if you sit in a bar long enough you are bound to see someone you know! When I was there I bumped into someone I’d met the week before on a small island. To put it into perspective that was a four hour plane journey, two hour taxi ride and then two hour boat ride away from Bangkok! It’s a small world! A market like no other! If you are in Bangkok on a weekend you have to go here, it sells everything you can imagine but is very chaotic! I really recommend purchasing Nancy Chandler’s map of Bangkok for exploring the city; it also has a great map of this vast market. The park is nice for a stroll and to escape the hustle and bustle, there is a lake where you can hire pedalos and nice lawns to relax on. Watch out for the huge monitor lizards that roam freely! If you are hungry after all the sightseeing, make a stop off for street food on Chinatown’s Yaowarat Road it has a lot of pop up food vendors, which I highly recommend. Although they are nothing fancy, simply plastic chairs and tables right on a street corner, for me this adds to the charm. I had giant tiger prawns, rice and beer. For two people the cost of this delicious feast was about $15! Hands down I think it was the best meal I had while I was out there. Chinatown is also a great place for exploring, with lots of markets and interesting side streets full of herbal shops and storefronts full of strange dried foods to discover! For a refreshing drink pick up some fresh pomegranate juice from one of the many street vendors, so yummy!